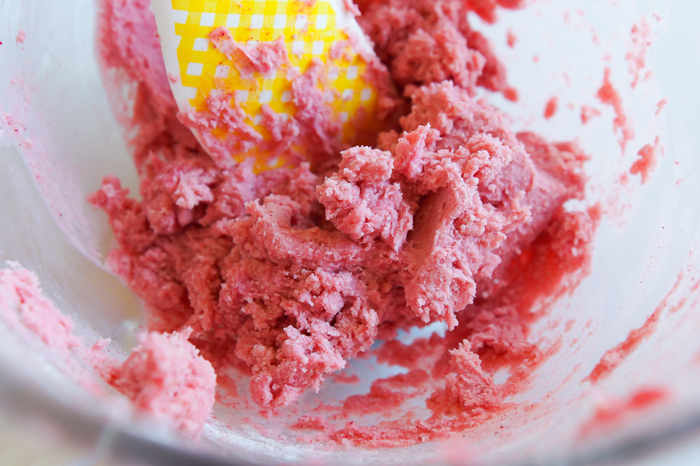 You know those cookies that just seem to melt right on your tongue? Soft and light and ethereal? These are those. 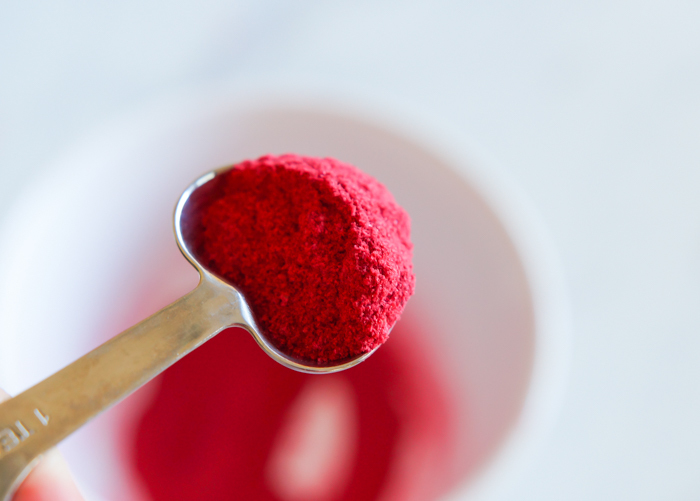 The color and the flavor comes from freeze-dried raspberries. 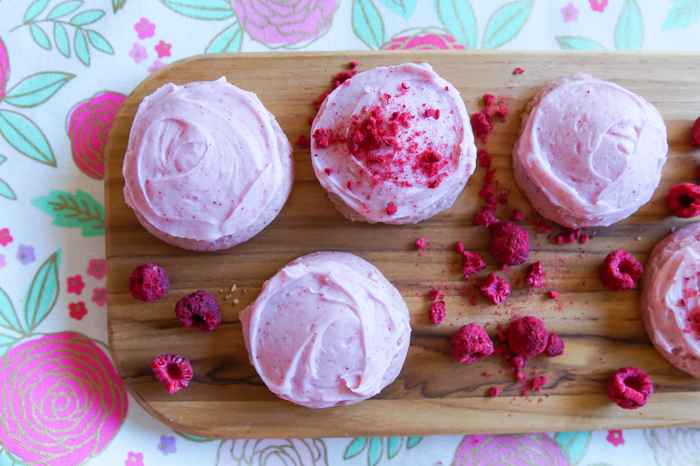 That's right; there's not a drop of pink food coloring in these babies. 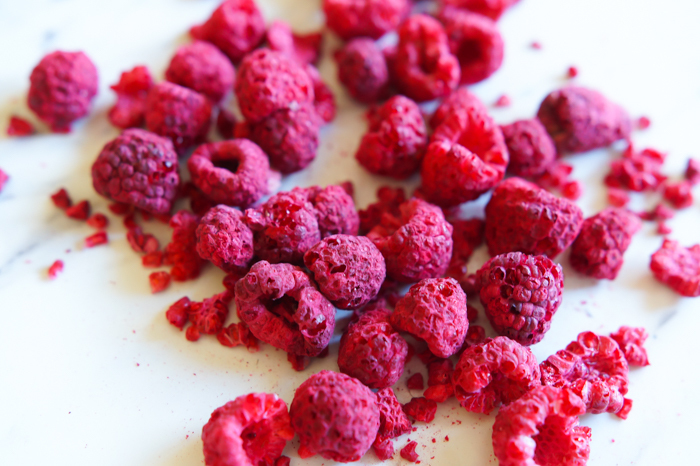 Freeze-dried raspberries are dry, completely dry. No chewiness, no added sugar. 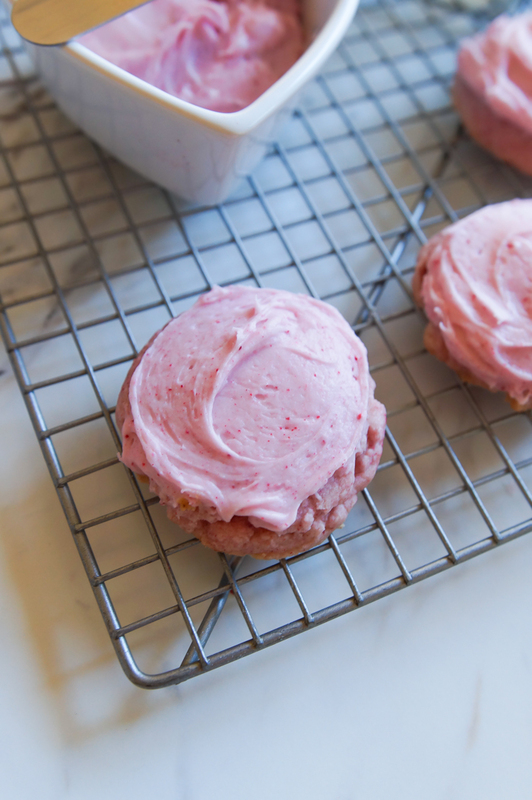 I fell in love with the strawberries and made these chocolate chip cookies with them a couple of weeks ago. The cookies and the entire process were so pretty, I could not stop taking pictures. 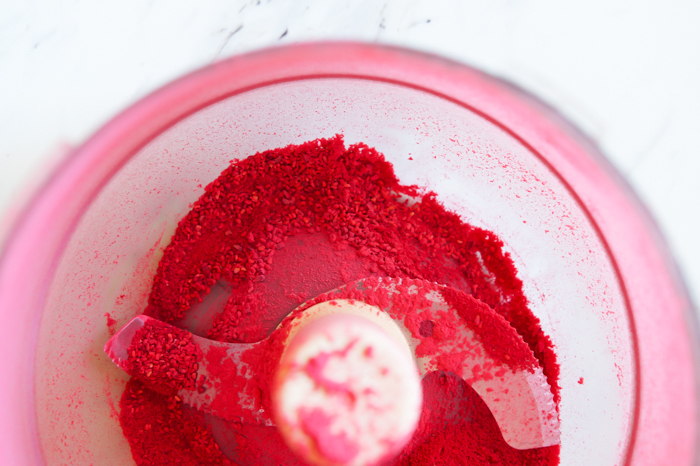 You'll start by making raspberry powder in your food processor. Then, make the cookie dough. 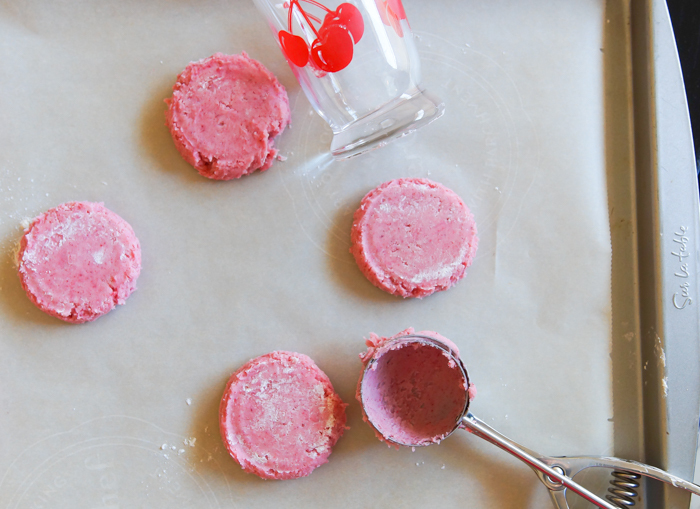 Press the cookies slightly with a juice glass and bake. 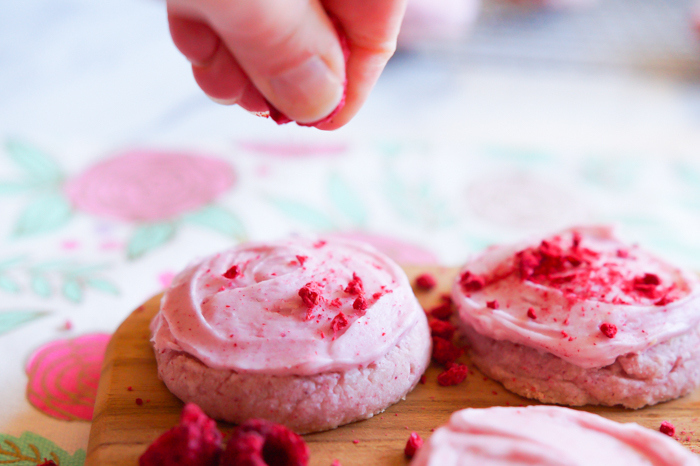 Once cooled, the cookies get a lovely raspberry frosting. Aren't they so pretty? 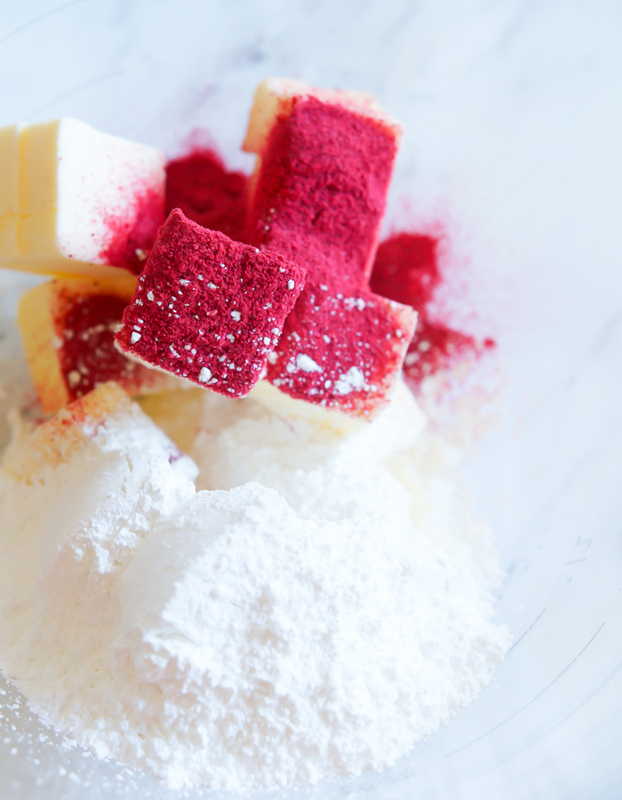 If you like, add some crushed freeze-dried raspberries on top. 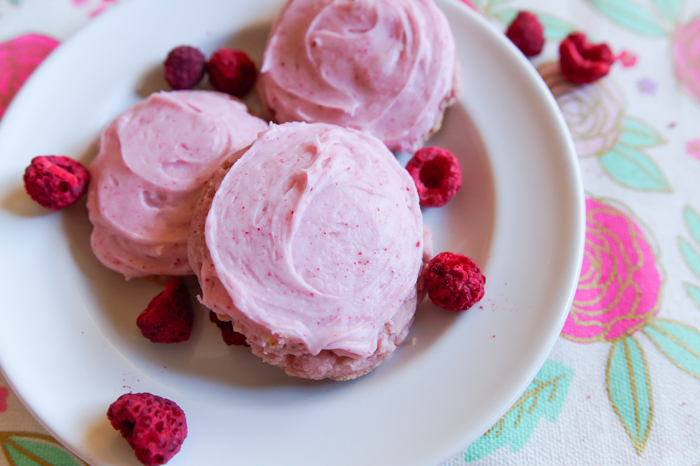 I'm sharing my recipe for Raspberry Meltaway Cookies over at Imperial Sugar today! 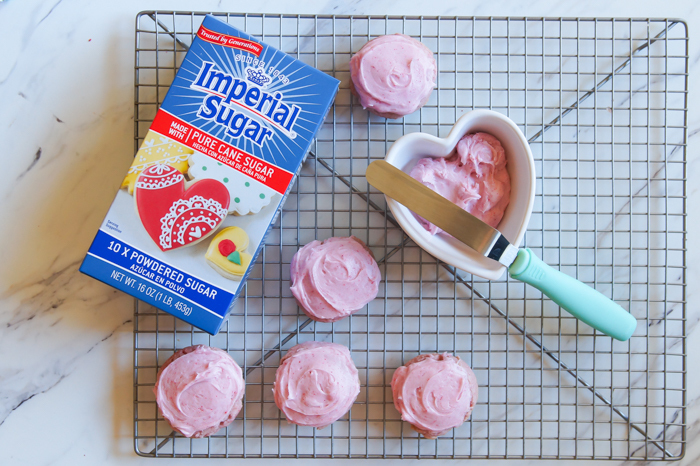 I saw these on the Imperial Sugar page yesterday and couldn't wait to see your pictures. I am so excited to make this for Valentine's Day. 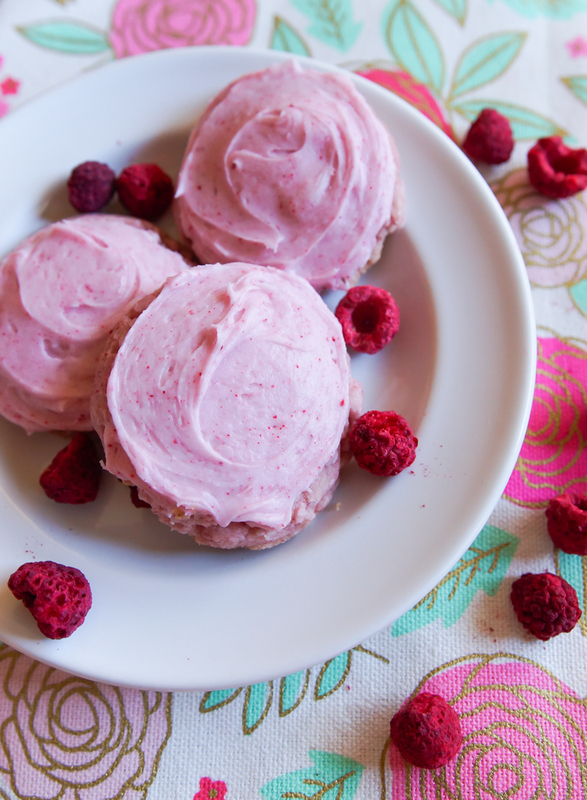 Did you get the raspberries at TJ's too? These make me want to EAT. THEM. NOW. Thank goodness that's out of the way. 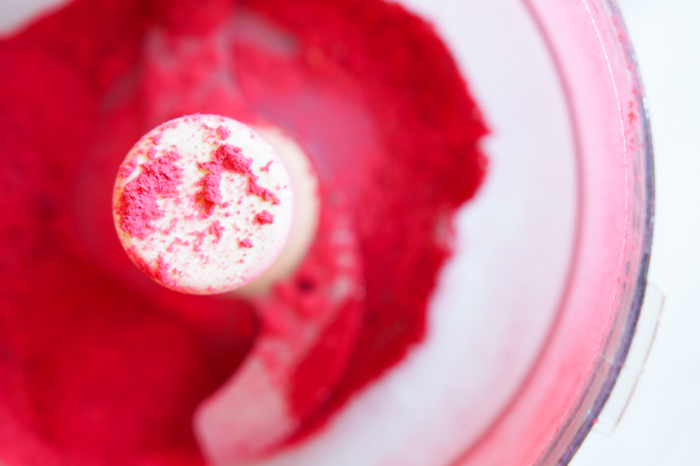 I wanted to share with you that dried raspberry powder like this made the buttercream frosting on my b-day cake Amazing. Try it, you'll adore it.